How does Drop A Truck work? Drop the truck off at your home or business. Wait for you to finish loading the truck. Drive the moving truck to your final destination. Take the moving truck back when you're finished unloading. This allows you to focus on packing and loading, rather than steering a cumbersome truck through West Palm Beach, FL. Call today to schedule your next move! You don't have to hassle with driving the huge moving truck. We'll drop it off, drive it to your new spot and return it so that you can focus on unpacking your stuff. Do you need a dependable crew to carefully load the truck with your furniture and personal belongings? You won't have to lift a finger when our moving team arrives. Is it time for spring cleaning? Clean out your commercial or residential storage space today. Our crew will get rid of your unwanted stuff quickly and efficiently. Ready to plan your smooth move? Call today to schedule Drop A Truck services and take the stress out of your moving day. Do you dread having to navigate the streets in a huge truck on moving day? 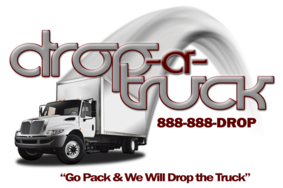 Drop A Truck takes care of the driving to eliminate that unnecessary stress from your move. We provide conventional moving services or we'll simply drop off the moving truck if you want to load and unload the truck on your own. No matter how big or small your move is, call us for commercial and residential moving services in West Palm Beach, FL and surrounding areas. Get rid of your junk, too! Is it time for spring cleaning? Clear out the cluttered rooms in your home with Drop A Truck. We'll clean out your garage, storage facility or any other room in your home quickly and efficiently. Just call to let us know when you're ready to rid of your junk.